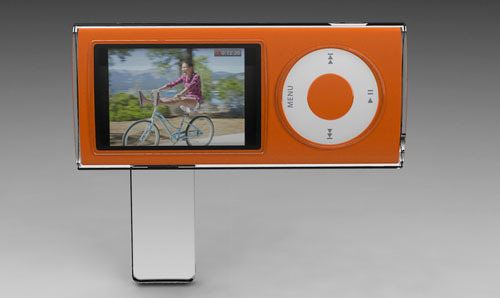 Kickster by Quirky is a plastic iPod Nano Gen 5 case which packs a ton of functionality in one little gadget. The slim hard plastic case also serves as a stand, and can be used as a cord wrap for your earbuds. 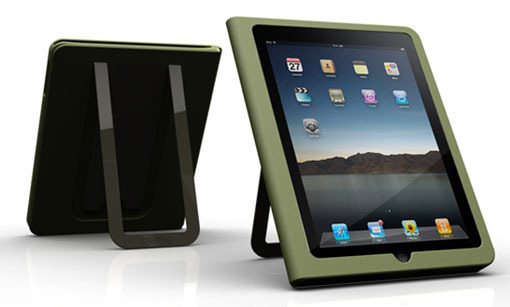 Prop up your Apple iPad with the Quirky Cloak. 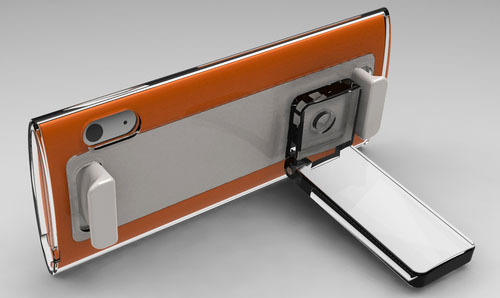 This iPad case can also be used as a stand in portrait or landscape modes. The Cloak is made from non-slip silicone. This convenient iPad case also has a smaller plastic support that you can flip out to use as a typing stand. It comes in black, pink, blue and green.